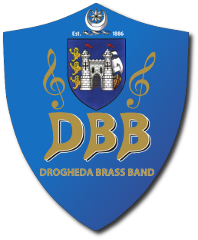 A capacity crowd at the Droichead Arts Centre enjoyed what has been described by many as the best Drogheda Brass Band concert in years, as their School of Rock-themed night brought the house down. Most of the credit for the success of the concert must go to musical director Michael Maher, who devised the concept. But more than that, he stole the show in the second half by arriving on stage as Freddie Mercury as the band played Another One Bites The Dust! The first half began with Steeleye Span’s Gaudete, the first song to get to number one in the UK sung in Latin. David Bowie’s Life On Mars was next up, before a real show-stopper with Sky’s version of Toccata in D Minor - a fantastic performance from the band. Rod Stewart’s Sailing and Ruby Tuesday by The Rolling Stones followed, and the first half ended with Guns N’ Roses Welcome To The Jungle, which had been a highlight of the band’s summer programme. A short break followed as the stage was set up for Drogheda Youth Brass to take to the stage. The Youth Band played a lively and challenging programme of music at the Christmas concert in the Droichead Arts Centre. They opened with an excellent rendition of the theme music from Pirates of the Caribbean, an arrangement of ‘The Black Pearl’ by Owen Garbutt, who has been a visiting tutor to Summer Sounds in the past. Anthony was somehow able to press on with announcing the next piece despite having a wardrobe malfunction on stage when his red Christmas braces almost popped off! He assured the audience that it was all part of the show and had been rehearsed! The band then played the Christmas carol Hark the Herald Angels Sing before moving on to the most challenging piece of the night – Christmas Crackers. This is a senior band piece and they had worked very hard for weeks to bring it to performance standard. It features different Christmas tunes, including ‘Tis the Season, Joy to the World, Jingle Bells, Silent Night and Away in a Manger. The band received a standing ovation after a terrific performance. It was then time for a bit of Jock McKenzie, a youth band composer whose music is well loved by the all the members. They performed a rousing version of ‘Westbound’. This featured a solo melody by the second and third cornet section, which included four members who have joined the Youth Band recently – Tommy, Rory, Archie and Blathnaid. The penultimate piece was the Christmas Carol The First Nowell, which was followed by another testing piece, and one of the night’s highlights. For its finale, the band played the Bavarian Christmas dance Schneewalzer (meaning ‘Snow Waltz’). There was lots of swaying and clearly they had a great time! Back to the senior band for the second half, and what a show! The band had dressed as rock and pop stars from through the ages and as they played through Queen’s Another One Bites The Dust, Freddie Mercury (otherwise known as musical director Michael Maher) strutted out on to the stage. The reaction from the audience will live long in the memory - as will the sight of Michael dressed in THOSE white trousers! It was only fitting that the band followed that up with Bohemian Rhapsody - 40 years old this year. “Resident Australian” John Carpenter then conducted the band in John Lennon’s classic Imagine, before Michael took the band through Pharell Williams’s Happy, featuring Stephen Murray on cornet and Brian Murphy on trombone. This arrangement was written by former DBB member Richard Rock. The band finished with When Christmas Sleeps and O Come All Ye Faithful before the encore of Floral Dance.